Traditional towns are one of the best ways to bring families into a neighbourhood, and you can be sure that this development will bring a lot of business professionals with family aspirations into the region. 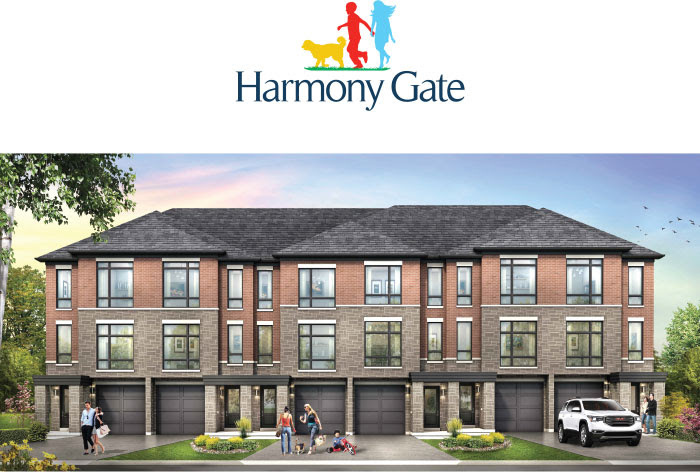 Harmony Gate, new townhome project by Sundance Homes is coming to Oshawa. This project promises to bring exclusive, luxury units to one of the regions most prestigious neighbourhoods. The development is slated to stand at 1464 Harmony Road North but will ultimately span the entire property from Missom Gate, northwards to Schooling Drive and onto a cul-de-sac called Grand Prairie Path. With stunning exteriors and a location minutes away from Highways 401, 407 and the GO Transit, this area is bound to attract a variety of residents. 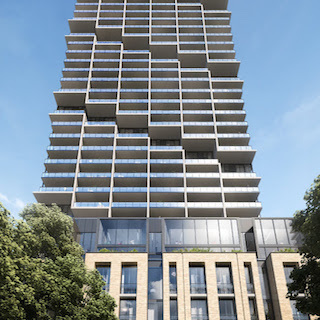 Families, in particular, will want to keep an eye on this development for its close proximity to schools for all ages, recreation centres, parks, and shopping. This thriving community is the perfect place to set down roots in an area outside of the bustling city. This new townhome development boasts sophisticated exteriors complete with a mix of materials including brick, stone, and stucco. Private parking garages front the homes as living spaces rise above. The colour blocking of the various shades of brown material makes this a modish addition to the area. This development is comprised of 79 homes ranging up to 1,795 square feet– with towns divided into 12 blocks and 5 luxurious layouts. Blocks 1 to 5 front Harmony Road North will back onto the south side of Coral Springs Path. These blocks offer a collection of layouts individually named Meadow, Blossom and one Wildflower layout. This strip of townhome blocks will offer visitors parking at either end of the street. Fronting Coral Springs Path are blocks 6 to 10. These towns offer Stillwater and Clearview layouts with visitors parking to the right of the properties. Block 11 and 12 are located on either side of Grand Prairie Path cul-de-sac. These towns are a collection of Stillwater, Clearview, Meadow, Blossom, and Wildflower layouts. 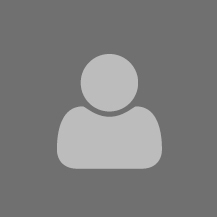 In total, this community will offer only two Wildflower layouts however, the site plan depicts each home with either a backyard or deck. Placed in North Oshawa, this development provides residents with everything a major city has to offer without all the traffic. 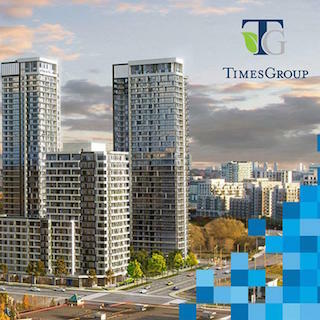 After all, this site offers an incredibly accessible living destination in the GTA boasting access to Scarborough, Markham, and the downtown core. This region benefits from the interconnected network of highways that streak across its landscape– especially the Highway of Heroes which is the eastern portion of the Ontario 401. This highway is fundamental for Oshawians who need to commute to different communities within the GTA for work. Residents of this upcoming townhome community will enjoy living with a 30-minute drive to Markham and Toronto’s downtown Financial District in under an hour. There’s also the GO Transit available at the Oshawa Train Station. Residents who prefer to take public transit into downtown Toronto will enjoy a smooth hour and ten-minute commute. Durham Regional Transit has a fleet of buses too which provide local transit throughout the city as well different parts of the Durham Region. Speaking of local amenities, Sherwood Public School, Maxwell Heights Secondary School and the University of Ontario Institute of Technology, as well as Durham College, are educational institutes that allow families to grow within their community. Owning near a wide range of schools often equal great investment returns as families and students are always looking for convenient places to live. 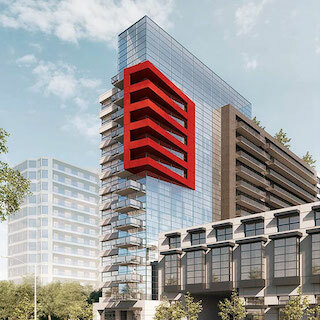 Investors will want to keep an eye on this site next to transit, employment hubs, and schools. Just 6 minutes away on foot is SmartCentres Oshawa. Here, a list of errands can be completed without getting behind the wheel of your car. Another walkable local amenity is the Walmart Supercentre plaza that offers another collection of notable shops and services. Within 30 minutes or a hop, skip, and a jump is the Oshawa Centre which offers 230 of your favourite retailers and restaurants. This two-storey centre is Durham Region’s largest shopping mall and a transit hub which offers regular bus services to Oshawa Go Station, Whitby Go Station, and Durham College, among other destinations. This site is truly a short drive or walk to everything.